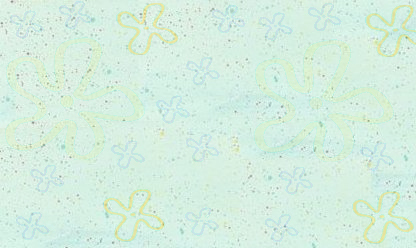 SpongeBuddy: Bring out the spongiest in you! SpongeBuddy has officially hit 10,000 visitors! YAY SPONGEBUDDY! I finally got around to making a new poll. And this one should be pretty close, compared to some of the other ones. October: Which item that will be released in October are you looking forward to the most? It's a tough choice, but I voted for The SpongeBob SquarePants Movie Novelization. Could it be? Yes. To begin, there's a lot of updated news regarding the movie here. Now on to video games. The "Nicktoons" game has been named Nicktoons Freeze Frame Frenzy. It is said to be available for Game Boy Advance in November 2004 and other platforms in 2005. However, one site is reporting that it will be released on the 15th of October... Speaking of October, the first few days of this month will be great for SpongeBob SquarePants fans. "The SpongeBob SquarePants Movie" Novelization will be released on the 1st. The SpongeBob SquarePants Movie Game will be released on the 4th. And, "SpongeBob SquarePants: The Complete Second Season" DVD will be released on the 5th. Yay for October! Some of that stuff you already know, but putting it all together makes it sound even more coolio. Well, I knew it was coming, and here it is. Spongebob Squarepants: The Complete Second Season DVD is available for pre-oder here. It will be released October 5, and cost $50... but most places are selling it for $35... for now. There's no picture available yet, but as soon as there is, I'll post it. Valdosta - A South Georgia amusement park is taking people on a joyride with a popular cartoon character. Wild Adventures opened its Spongebob 4-D ride over the weekend. Inside the simulator, Spongebob takes guests on an action-packed journey across the Bikini Bottom to find the last Krabby Patty pickle. "It was really cool and I like the part when all the bubbles came out," said Spencer McQuaig. "I like his laugh when he goes baaaaaaaaaa," said Taylor Pope. Wild Adventures is home to the only Spongebob 4-D ride on the East Coast. more days until The SpongeBob SquarePants Movie is out! There are 11 SpongeBuddies online.